Today's feature is a guest post about saving money. With four kids to raise, I love finding as many ways to save as possible! As their name suggests, gift cards are meant to be given as gifts. They are a popular gift item, especially during the Christmas season. However, did you know that you can use gift cards to save money every single month of the year? Being a smart consumer is all about finding those secret loopholes and deals to score extra discounts. We are not talking about gift cards you get as gifts. Those are 100% profit because you didn’t spend money to buy them in the first place. Instead, we want to share how you can buy discount gift cards for yourself to save big. During the holiday shopping mayhem, gift cards are often sold at a discount. Which means a $200 gift card may come with a sticker price of $175 or even less. This is because shop owners send gift cards to print by the thousands. In a bid to sell out their stock, they often offer attractive price cuts. Now, if you buy a gift card that has $200 store credit and you use it to buy everyday items, that’s an instant savings of $25. That’s on top of all the discounts and savings offered to every customer at the store. 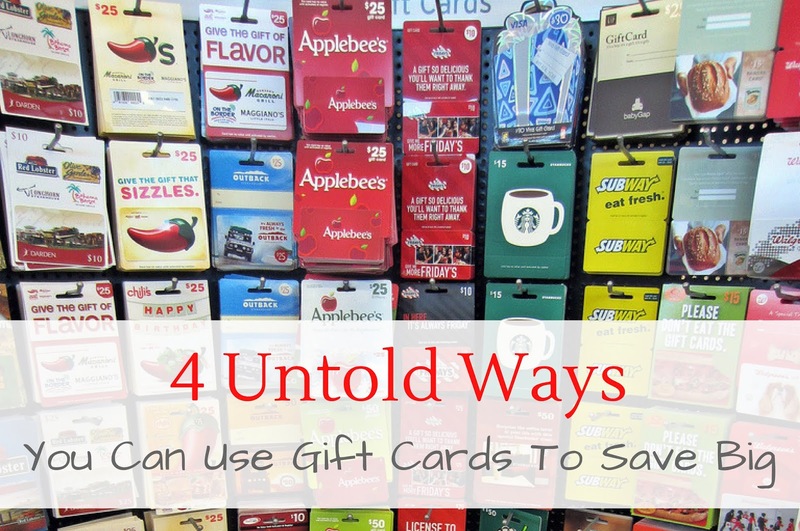 Now, that you get the idea, following are 4 ways to score massive savings using gift cards. Buy Discount Gift Cards Online: A lot of gift card stores buy second hand gift cards from customers and then resell them at a discounted rate. These discount gift card stores sometimes offer as much as 50% discount on the total value. Remember, the key to saving money using gift cards is to buy the gift cards at cheaper rates. 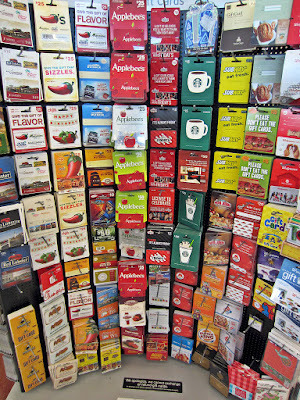 There are also individual listings of people who want to sell their gift cards, especially after the holiday season. Tread carefully here because a lot of them turn out to be scams. A safer alternative is to go to a gift card exchange sites. These sites connect people who want to sell their unwanted gift cards with people who want to buy them. Only Buy Gift Cards You Plan to Use: It’s a rookie mistake to buy gift cards just because they are available at a great discount. A lot of unwanted gift cards end up being sold at less than half the price, but that doesn’t mean you have to buy them all. For example, if you do not frequent a coffee joint, there is no point in buying a discount Starbucks gift card. Stick to gift cards that will help you get things you would need to buy anyways. If you have a baby or a young child, hunt for discount gift cards that allow you to buy diapers and other baby stuff. Similarly, find a grocery store gift card to save on your monthly shopping. Capitalize on One for One Offers: A lot of stores offer a lesser value gift card for free with every purchase of a high-value card. Often known as “Gift One Get One” offers, these are a common deal available at stores during the holiday season. Sometimes stores give away as much as a $10 gift card with every purchase of a $100 gift card. Look out for these offers. 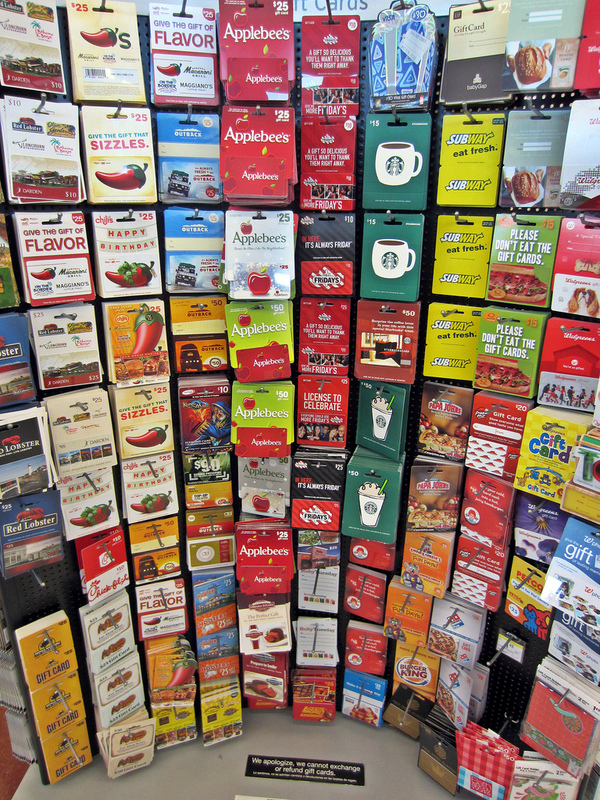 Buy in Bulk: When you spot a great gift card discount, it’s important to capitalize. Whether it’s online or at stores, don’t be afraid of buying multiple gift cards to ensure massive savings for the rest of the year. Do keep in mind to check the expiry date, if there is any.